On 11/3（Fri）*Bank holiday, “The Street Céilí” will be held as a part of the event “Togoshi-Ginza Celt Matsuri” at the Togoshi-Ginza Shopping Street. 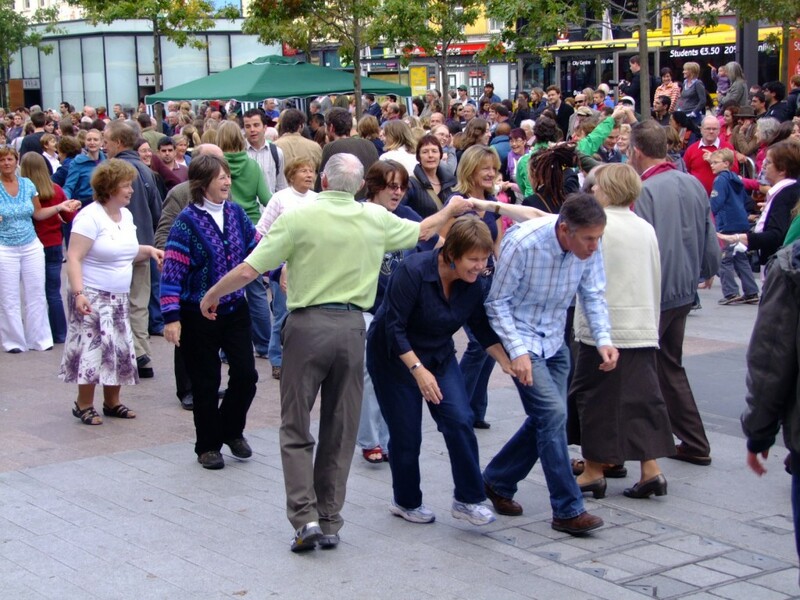 At this event, we are planning to gather as many dancers as we can, and try some kind of ceili dance just like they do in Ireland at festivals or parties. Of cause you can join in the dance workshops without entry, we’d like to gather some experienced dancers beforehand in order to have volunteers to help us to carry out the event. Please entry from This form if you’re interested in this event. We will get back to you once the details are fixed and you may be able to help us before the event.